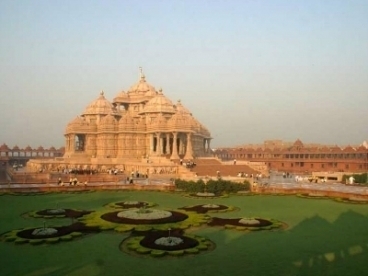 North India tours are all about natural beauty in different forms. From colossal mountains to serene lakes and quaint towns to dense wilderness, the region is home to a wide variety of flora and fauna. Explore the best of Nainital, Mussoorie, Ranikhet and Jim Corbett National Park on this tour of the state of Uttarakhand. 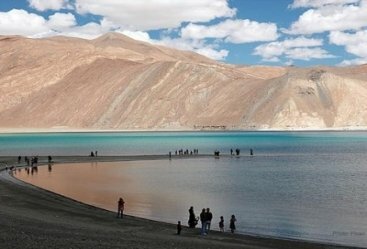 Hill stations, lakes, snow-clad mountains, enchanting forests, rare animals and birds are sure to make it a tour to remember for you. Also, explore the majestic Mughal monuments of Delhi that have stood the test of time and continue to fascinate people from all corners of the globe. 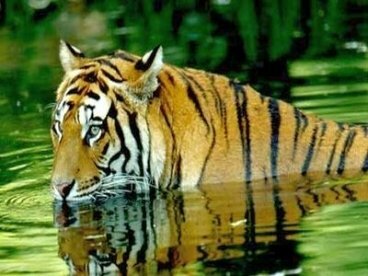 Some of the most amazing features of the tour are a jungle safari at Jim Corbett National Park, Boating at Nainital Lake, Mughal monuments like Red Fort and Qutub Minar, Gun Hill, and Rani Jheel among others. 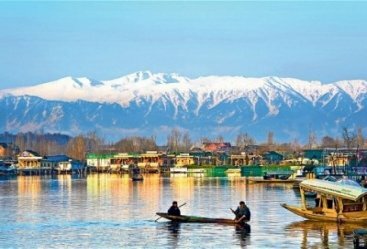 The tour begins with your arrival at Delhi where our representative will welcome you and help you board a cab for the popular hill station of Mussoorie. After reaching this charming hill station check into a hotel for an overnight stay. After breakfast, explore this amazing place that offers spectacular views of the doon valley and Shiwalik ranges. Relish a unique cable car ride to the Gun Hill, savor the incredible views from its highest point Lal Tibba, visit the Kempty falls, Soham Heritage and Art Center, and Naga Devata Temple. Savor shopping and explore the eateries on Mall road before returning to the hotel for an overnight stay. After breakfast leave for the stunning Jim Corbett National Park by road and after reaching check into a hotel. Spend the rest of your day at leisure before an overnight stay at the hotel. Savor an early morning jungle safari this national park which was the first to come under India’s Tiger Project initiative. This park is home to several species of mammals, birds, and reptiles like the Bengal tiger, leopard, sambar, Himalayan black bear, etc. After the jungle safari return to the hotel for meals. After lunch visit the park again and enjoy an elephant ride while exploring the jungle. Return to the hotel for an overnight stay. After breakfast, leave for Nainital and upon reaching check into a hotel for an overnight stay. 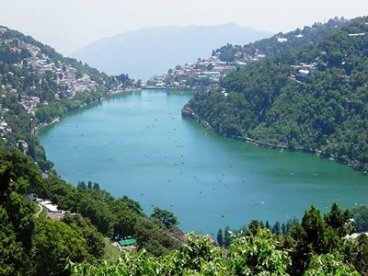 Situated in the Kumaon foothills, Nainital is a famed hill station of India. After breakfast enjoy a boat ride on the picturesque and serene Nainital Lake. 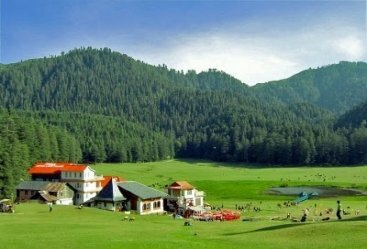 Also visit famous landmarks like Sher-Ka-Danda Ridge, Tiffin Top Mountain, Guano Hills, Gurney House and Nanda Devi Temple. The ropeway ride to Sher-Ka-Danda Ridge is sure to fascinate you as spectacular views of the region will make your day. For adventure lovers there are activities like horse-riding, kayaking, canoeing, and rock climbing on offer. Return to the hotel for an overnight stay. After breakfast visit Ranikhet for a one-day tour. Visit one of the highest golf courses in Asia which is located here. Also visit the Rani Jheel, Bhalu Dam, Ashiyana Park, Binsar Mahadev, and Mankameshwar Temple and explore the place. After exploring Ranikhet, return to the hotel in Nainital for an overnight stay. After breakfast leave for Delhi by road and after reaching check into a hotel for an overnight stay. After breakfast visit the Red Fort, Jama Masjid, Qutub Minar, Humayun’s Tomb, India Gate and Presidents House. Also visit the oldest Mughal market of Chandni Chowk which is a buzzing bazaar filled with incredible shopping and food options. After exploring Delhi return to the hotel for an overnight stay.